We offer our care services throughout the borough of Barnet and Greater London. The team is able to deliver home care, live in care and support services in Mill Hill. Our care staff are trained, professional, have had DBS (criminal record checks) conducted, have had reference checks from previous employers, vetted by the office team and are hand selected for their desire to make a difference to our client’s lives. We are able to care for both younger and more mature adults. Elderly, Disabilities, Learning Disabilities, Injury Rehabilitation, Dementia/Alzheimers, Palliative, Cancer, Parkinsons, Motor Neurone Disease, Multiple Sclerosis and more. 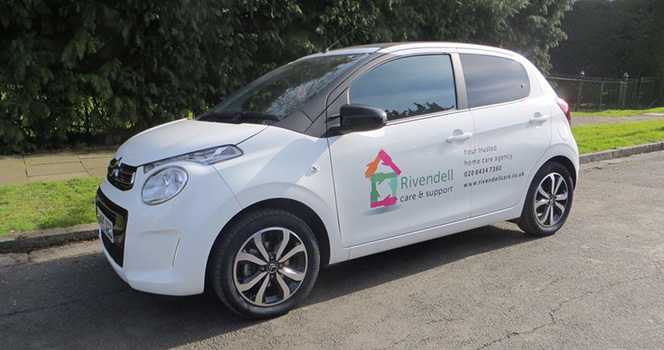 We understand that each one of our clients have different level of needs, therefore our service is flexible and our care team can visit from as little as one hour a day right through to live-in care – learn more about visiting care. We have staff who are very adaptable and can cater to these different levels of requirements no matter how serious or minor your condition is. Our aim is to make sure that you are going to get the best care and support you require. Our home care and live in care service in Mill Hill is tailor-made for those who would rather maintain independent living in the comfort of their own home but may need some everyday assistance with domestic support, personal care or companionship. Prior to care starting we will conduct a care assessment where we will discuss what you want to gain out of this care and then we will create a care plan, we will then present this to you to ensure we have an accurate understanding of the support required. Our home care in Mill Hill service covers four main areas; personal care, housekeeping, dietary care and companionship. The personal care service is all about ensuring personal hygiene is kept up to a high standard. We understand when you are recovering or suffering from a serious condition that everyday tasks may get harder than before. Not to worry! We can help you with taking your medication, getting ready for the day and the rehabilitation process and enablement programmes which can be prescribed by health and social care professional. Having a clean and tidy home is important to our clients and their families and we recognise this. This is why we offer a housekeeping service, these tasks can range from dusting, hoovering and cleaning. We are flexible, our carers are available to visit from just one hour a week to full time live in support. Another aspect of the care plan will be looking at your diet. Having a healthy and balanced diet is crucial to getting better and improving your well-being. Our trained carers can help prepare a meal plan, go shopping with you and assist with feeding if required. We never want our clients to feel alone, we offer more than just a staff and client relationship – we offer companionship. Our staff can engage in a hobby within or out of your home, set up Skype calls with your loved ones or schedule activities from social visits to doctor’s appointments. If you are interested in home care in Mill Hill then please feel free to contact us.